Apple is the king of brilliant, yet expensive phones. With devices such as the iPhone XS Max and XR costing eye-watering prices, it can make sense to go back a models and pick yourself up one of Apple&apos;s older plus size models. So how are iPhone 8 Plus prices looking. On average, if you shop wisely (using our price comparison chart below) you&apos;ll save yourself around £300 if you go for this handset over the iPhone X. We&apos;ve seen monthly tariffs as low as the £25 region if you&apos;re prepared to stick a wedge down upfront. Still feeling a bit overwhelmed by these prices? 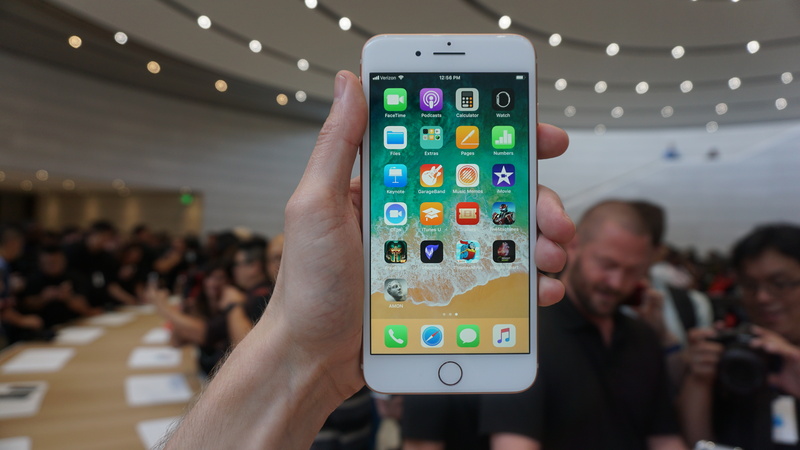 Don&apos;t forget that iPhone 8 deals are also available if you&apos;d prefer the smaller smartphone, along with the smaller prices. And you can save £10 on the upfront cost of any iPhone 8 Plus deal at Mobiles.co.uk by using the voucher code 10OFF at the checkout. A mighty £699. That&apos;s how much the 64GB iPhone 8 Plus will cost you in the UK according to the RRP. That might seem like a lot but that&apos;s one hundred pounds cheaper than when it first came out. This is the iPhone you want if you can&apos;t quite afford the iPhone X or iPhone XS Max. It&apos;s got the larger battery, same powerful innards and strong camera. If you don&apos;t mind the poorer screen, it&apos;s a good option – and the screen is still a beaut. And we prefer it quite a lot more to the regular iPhone 8.